Although alcohol is certainly not an athlete’s friend, the biggest concern is its consumption during and after the creatine cycle. According to circulating theories, ethanol cuts muscle proteins, flushes out creatine from the body, blocks its action and removes the water accumulated by it from the cells. And so, people who, beyond the creatine cycle, have no resistance to go on a two-day melange with their friends on the city, while taking supplements containing creatine are afraid to drink even one beer. In fact, there are no specific reasons to believe that drinking alcohol while using creatine is more dangerous to the muscles than drinking between cycles. Yes, passionate alcoholization does not serve to build the top form, but this happens both when taking supplements and in the case of dry training. 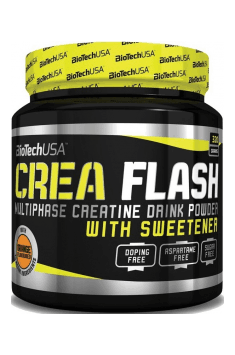 In fact, creatine increases hydration of muscle cells, and alcohol disturbs water and electrolyte balance and leads to excessive fluid loss, but creatine paradoxically protects muscles from excessive dehydration, as demonstrated by studies involving athletes training intensively at high temperatures. Previous Post How to effectively lose weight? Is there a shortcut? Next Post How long will the abundant meal leave on my stomach?